COMEX is here again. Creative have been actively participating in the previous few consumer electronic shows and this time it seem to be no different. We have sieved out the best deals to look out for at the Creative booth so that you would not miss out on any offer! 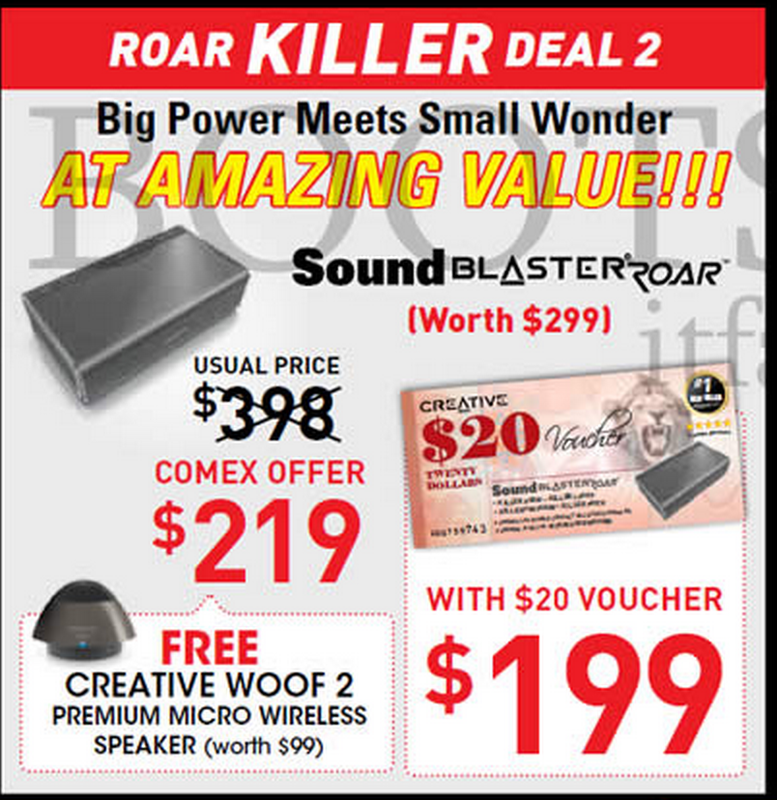 Called the "ROAR KILLER DEAL 2", it basically gives you the Sound Blaster Roar + the new Creative Woof 2 micro wireless speaker (should be an upgrade from the original Woof) for just $199. Previously, you get a free (but smaller) Creative Woof for that price. Not sure how easy it would be to get the $20 voucher, but if previous shows are of any indication, the difficulty is 1/10. 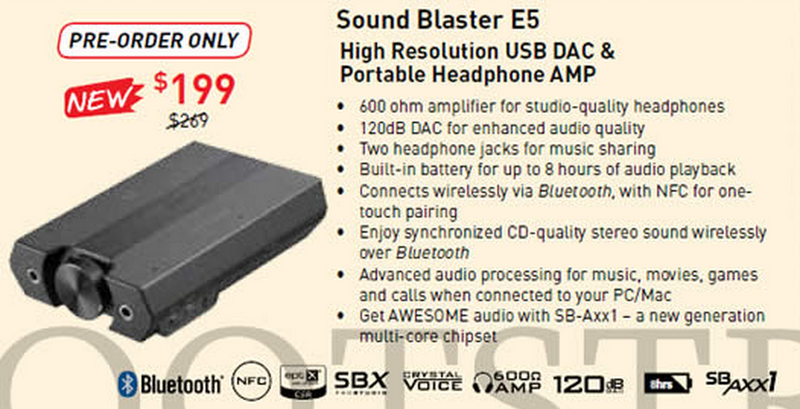 If for any reason you are thinking of getting the Sound Blasteraxx AXX 200, you might want to consider getting the "BEST OF BOTH WORLDS KILLER DEAL. 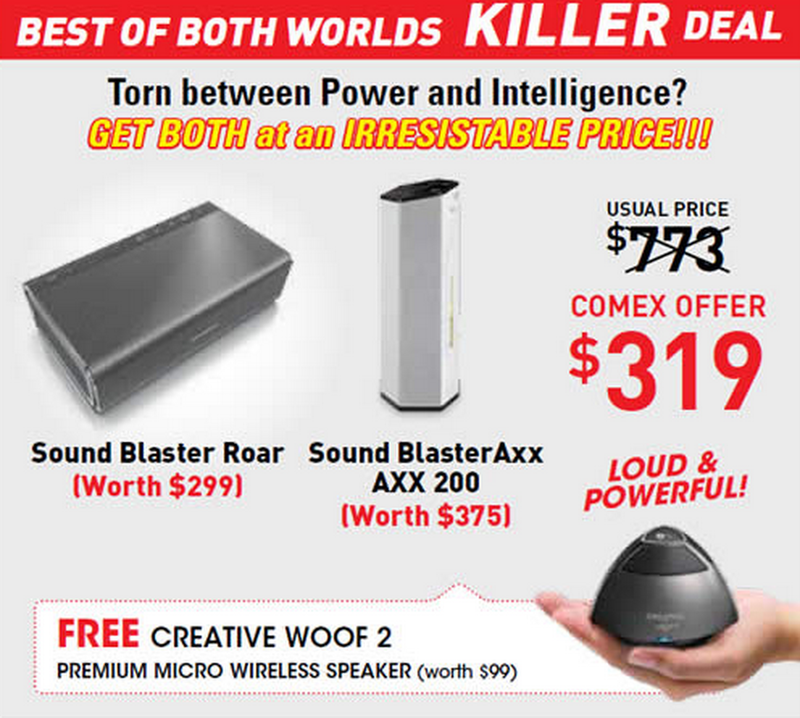 Basically it lets you get the Roar and Axx 200 for $160 each with a free woof 2. Not a bad deal, considering you could always give the Woof 2 away as a decent birthday or farewell gift. For the budget conscious, the new MUVO mini should be right up your alley. Besides being water/dust proof, the mini has 10 hours battery life, built in mic and NFC with Bluetooth. 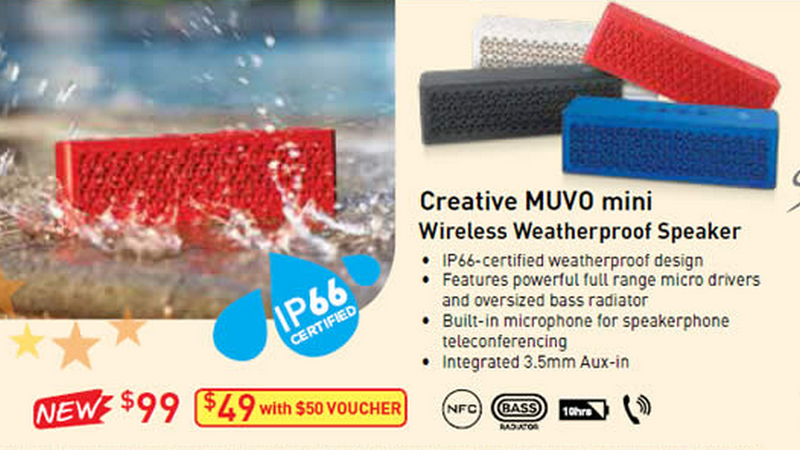 And at $49, its wayyy cheaper than most of the similar sized competitor in the market or even the X-mini! Comes in 4 different colors, the mini will debut at the COMEX show for the first time in the ice bucket challenge (we're kidding obviously). 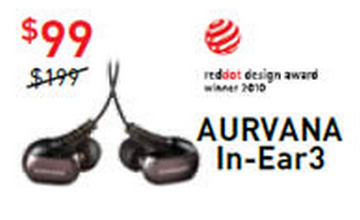 Creative's best sounding but most understated iem is now at $99. But do note that it does not come with a line-in mic or music controls like most of the newer models. But $99 is a steal for a dual-driver earphones anyday. New and dirt cheap at $49, the SB inferno has got to be the cheapest branded gaming headset at COMEX. Highlighted here because of its impressive specs and the fact that it has yet to be announced. You get to save $70 if you could wait awhile by pre-ordering. This headphone amp comes with 600 ohm amplifier with 120 dB and two headphone jacks for music sharing. More information to come!